available in many fragrances for your pleasure. 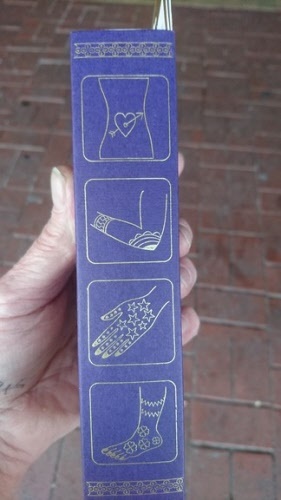 Also availalbe are Henna kits, they come with Henna paste, oil, gloves and two stencils / so you don't need to be an artist to apply the Henna. 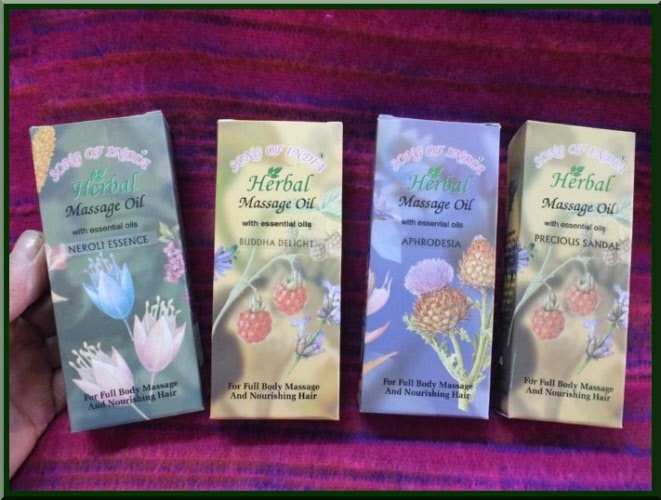 This massage oil is sure to become a personal favourite. The special formula hydrates your skin and provides excellent guide for a deep massage. 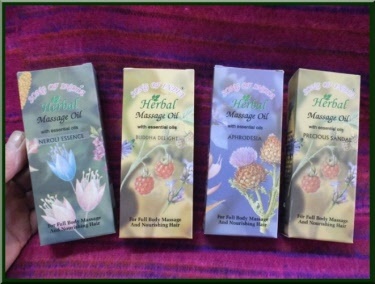 The blend of natural massage oils and base oils moisturize your skin and restore vital nutrients. The oil also leaves a soft, long lasting fragrance. This is a professional temporary tattoing kit. You don't need to be expert at drawing as there are two stencils included, just place them on your hand / feet or wherever you are tattooing and rub the Henna mixture in. Done correctly you can have a beautiful design in minutes. 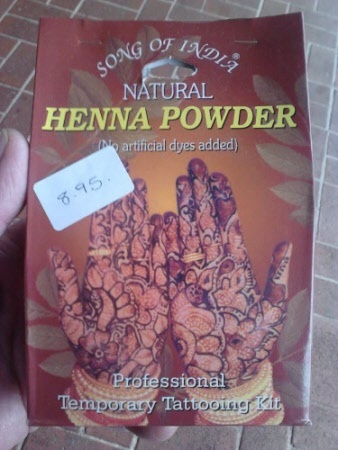 100% Natural Henna Powder is prepared from hand picked Henna leaves from Rajasthan. A night at home with the girls, what can we do? 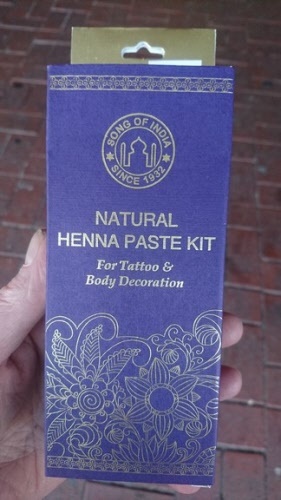 I know how about decorating your hands / face, legs, or wherever you like with Henna? As used in India for centuries, for major celebrations, including Indian Weddings. 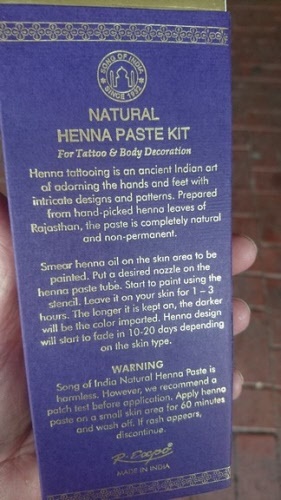 This kit comes with one tube of Henna Paste (no mixing) one 2.5ml bottle of Henna oil and two stencils. No need to be an artist, just use the stencils and follow the instructions on the pack.